I like this quote because it is true. It lifts your head. I wanted to make sure for everyone reading this–that this isn’t just a health and wealth statement. After all we all know there are seasons that are dark and seasons that are light and we all go through these things. But it’s important to know that we aren’t promised only good times as well as knowing that the bad times should not have authority over us and consume us. 1. You were not created to be depressed. 40 1-3 I waited and waited and waited for God. I love this verse because it is easy at times to “slip” into a depression and negative thinking about your life, circumstances, past, and all sorts of things. It might even be that you have clinical depression or anxiety. The good thing is that while these mental illnesses make you feel like you are losing your footing, God promises to uphold you and makes sure He delivers. Though many times it doesn’t make sense, we can commit to continually “entering the mystery” and giving in to God knowing He is in control. 2. You were not created to live guilty and shamed. You hear that? God holds nothing against you. If you believe that Jesus died on the Cross for your sins, by His grace and power you are set free of the pressure of your own guilt and shame and unworthiness. 3. You were not created to feel condemned or unworthy. God is so worthy and wonderful that the psalmist declares he would rather be with God than on the most exotic beach. He would rather be a janitor in the house of God than elevated in a place of sin. God is good. Because Christ died for you and dwells within you through salvation, God sees Christ in you, not your old life. You can live in freedom in the security of His love and covenant over you. You are worthy to be with Him forever and ever. 4. 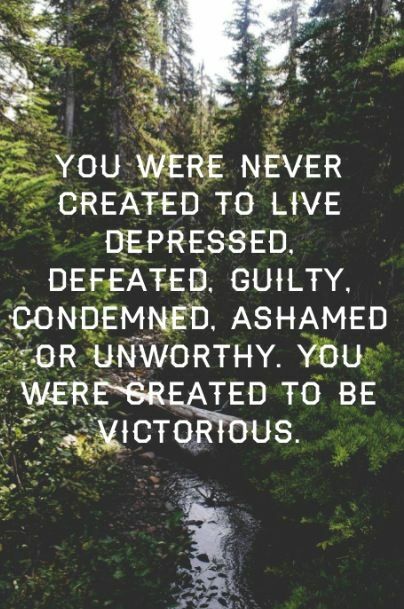 We are created to be victorious! As humans we fell short in the Garden. We sinned through the ages. We turned our backs on God. We made a mess of things. We judged. We hurt. We killed. We did it all as a species. But God intervened. No longer do we suffer the penalty of our wrong-doings. Jesus made a way where we couldn’t. He filled in the gap we created between ourselves and God. It’s not to say that we were all so bad and we need to perpetually feel guilty in order to feel worthy of God’s goodness. It’s more like, in humility realize we are imperfect made perfect by Jesus. Instead of wallowing in self-pity we can accept the grace God gave us through salvation and live victoriously. This doesn’t mean we aren’t still prone to sinful behavior but instead of getting back in the muck we hold on to our anchor and learn to sink less. To sin less. To be grateful for Jesus making a way. To be grateful Jesus is the light of the world that can be followed through any darkness. It is cause for joy. Our lives are a letter that anyone can read just by looking at us. God wrote our lives, Christ saved our lives, the Holy Spirit is carved into our lives, and we carry this all out out through living our lives. I love that thought. I hope it reminds you who God is and that He loves us all. Been thinking of you. Sorry for being offline for so long. I actually came down with the flu and haven’t been well enough to post anything in way too long! Please keep me in your prayers and I hope to turn out my normal posts this week! I always end up having mixed feelings with this franchise, including the female version of it The Bachelorette. I have no idea why I continue to watch it. It’s a combination of humor in all of the personalities and the overly cheesy romantic situations. There’s also the fact that each year there seems to be nothing else on TV and it’s mindless to watch after a long day. This year I really appreciated one of the contestant’s Britt. She is a Christian, very free-spirited, and surprisingly never said a harsh word to anyone. This is VERY uncommon when you watch enough of these shows and people take to the “confessional” during each episode to gossip about each other. I’ve noticed there is a lot of social media hate on this girl and it literally blew my mind to see. Why do people hate this girl so much? Why are they going to her personal social media pages to cyberbully her? I don’t get it. I think this opened my eyes to a larger problem–which is in part cyberbullying and in part the entertainment people seem to get from tearing other people down. Over the past 5 years I’ve been bombarded with stories in the news. Girls who were bullied to the point of suicide, students who would bombard classmates with hate mail or texts encouraging them to kill themselves or feel bad about themselves, and technological developments like Burn Book. For those who don’t know, this is an app where people can anonymously create and view posts. My stomach literally turned when this was covered by Good Morning America. One male student in the video named Tatum looked himself up on the app and saw a post that read “Tatum should get cancer like his mother and die”. Are you kidding me? This is our society. This is what people do on social media. This is what people do as an extracurricular activity. I’m merely siting this as one of many examples where people’s opinions, posts, tweets, comments, etc are going too far. For whatever reason social media acts as a mask to be confrontational. You can rip apart a celebrity and their body, you can tell a classmate that they should die, you can talk about a contestant on a popular dating show and feel entitled to that opinion even if it’s ugly. I made a Twitter many years ago and back when I didn’t know what I wanted to write or do with my enjoyment of writing for fun in my free time–I had created a twitter as a commentary on various shows like American Idol. I never bullied anyone. I never ripped someone apart but I would be a liar if I didn’t say I commented on whether someone sung well or not. Or compared people to villains in movies. Granted it’s not telling someone to die, but it’s still not the best use of your words. I think as both a participant and viewer over the years of these things, I’ve come to a point where I no longer want to perpetuate negativity. I don’t think you have to be so syrupy and only say nice things, but you can say things that might be truthful in a better way. Let me give you an example. I follow someone on social media who has a large following. This user professes 24/7 to be a Christian and yet makes consistent judgmental and negative remarks about another Christian in their social circle. I had watched this go on for months. Because of that user’s large following other people began to jump on the bandwagon and agree or perpetuate more negative observations and more than likely assumptions about this person’s character and actions. It was like being kicked in the stomach to see transpire. I kid you not. It ate away at me but I never commented until yesterday when I merely asked this person why there was so much hate when both individuals are Christians. In other words if you are both Christians, why can’t you bite your tongue if you have nothing nice to say? Why can’t you extend some grace to this person instead of joining in with the rest of the “haters” on the Internet and assuming the worst about this person and their character? Well let me tell you. People agreed. And people disagreed. And somehow I became the target of a few of my own haters and called a hypocrite for even posing the question to begin with. I’m not here to clear my name. I’ve been guilty of judging other people, Christians included. If we’re honest–we all have. But it is one thing to be a fruit inspector and another thing to be a fruit thrower. What I mean is, it’s valid and Biblical to question someone. To be curious about their actions and if they line up with Scripture. To strive to see Truth lived out. But there is also another aspect which is to have Grace. I think it would be fair for this person to say “I don’t know this person that I’m judging but I’m wondering if they are genuine. I hope they are” instead of “I’m disgusted by this person” or “We don’t endorse this person” or “This person works a low-level job and must only have selfish ambition” or “I like to see this person cry”. Granted I’m paraphrasing but I see all these things and it’s sadistic. Why as a society do we derive pleasure–retweets, likes, shares, from narrating other people’s perceived flaws? Why when we disagree with someone or something do we need to put down other people who don’t agree with us? Why are we always going for the jugular? Why are we booing and throwing “fruit” at people as we sit and mock from the audience? God knows there is nothing new under the Sun. People are doing today what they did throughout time. The tongue has caused damage for years and nowadays our tongues are hidden behind screens and have transformed into typing fingers. Accusing fingers. Scolding fingers. I had a hard time sleeping last night because I was so disappointed by people on the Internet. Especially Christians. How can we follow Jesus and simultaneously crucify our brothers and sisters with our tongues? How do we justify who gets grace and who doesn’t? How can we make judgements on people when we are supposed to be speaking light and life into them? Hoping for and expecting the best from them. I like this photo with the quote at the beginning of the post because it’s true. We can defend our own behavior but God help you if you are an “other”. 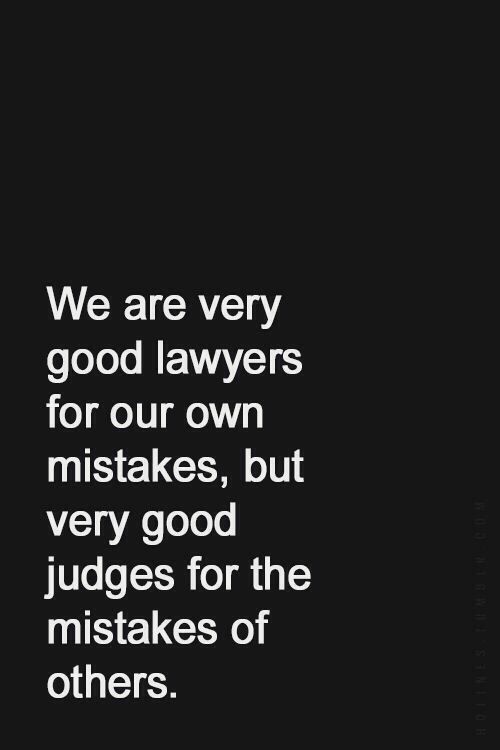 We can easily forgive ourselves but rip apart someone else. We can sympathize with our own mistakes and mis-placed words or actions saying “it was a joke” or “no offense” or “you just don’t understand my personality” but if we see something we don’t understand in another person why are we quick to jump to the worst conclusion? I sincerely pray that we as Christians learn that there are consequences to our tongues and fingers. We aren’t anything special just because we are saved. Jesus is the special one. He constantly advocated for the bullied. He reminded us that none of us are righteous and without fault. My mom said it best when she reminded me “Christians are the first to shoot their wounded”. It’s true. If you are going to make a comment in public you have the power to guide that conversation. Are you saying something necessary? Are you saying something kind? Are you saying something true? I think this person is entitled to an opinion but they are not entitled to judgment. You are not God. You don’t know that person’s journey. You can’t see that person’s heart. Would it kill people to only say one half of a comment–the necessary side? i.e. if you support Person A but not B can’t you just say “I support Person A”? Why as humans is it necessary to say “I support Person A because I think Person B is horrible.” Why is that important? Or better yet as a supporter of Person A why do you feel like you need to prowl like a hungry lion on Person B’s personal pages and write nasty comments about them? I don’t support the way society is behaving and enabling the younger generations to behave. I pray for more grace. I pray for tongues and fingers to be humble in what they say and write. To extend mercy towards people they don’t know instead of mockery. 1. I’m here on Earth to shine the light—the light being Christ. He is our true north. He is the reason for everything. He is the way, the truth, and the life. He came here to show me the way Home. And because of Him, I’ll never be the same, and if you want to, you will never be the same either. 2. I am special to God. You are special to God. If we are bearers of Jesus’s light, we will be on display. Not because that is something we should aspire to—fame, but because He is famous. He is wonderful. He is miraculous. People will look at us because we are bearers of His light. And it’s hard not to notice light, when so much of the world is shrouded in darkness. Right? 3. I don’t have to be ashamed. I don’t have to feel like I’m not good enough, not pretty enough, not rich enough, not popular enough, not talented enough, etc. God simply calls us to “be the light”. This is a simple thing guys. Just be. Be because of what He already did. Shine because He brought us out of darkness into light. Our entire human composition is different because we are spiritually alive. 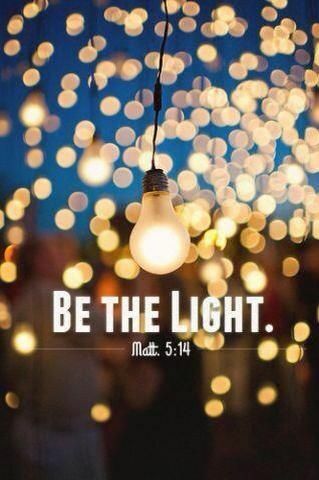 We are called to be light. To show people the way home. To invite people to find out what God thinks of them. To eliminate fear, guilt, shame, pain, etc. But imagine that in a global way. One of those lights is me. One of those lights is you. Not everyone turned their light on at the same time. I turned mine on so to speak, and maybe that encouraged a total stranger to look for their light. In this life there will be times where you are the only one holding a light. It can be daunting to stand there alone and surrounded by darkness. We all have seasons on loneliness, despair, sadness, grief, loss, and that’s why it’s so important to be around people who will keep your light on. Will speak life into you. Will support you. It’s always important to also keep your own light on through God’s Word and through constant communication with Him. 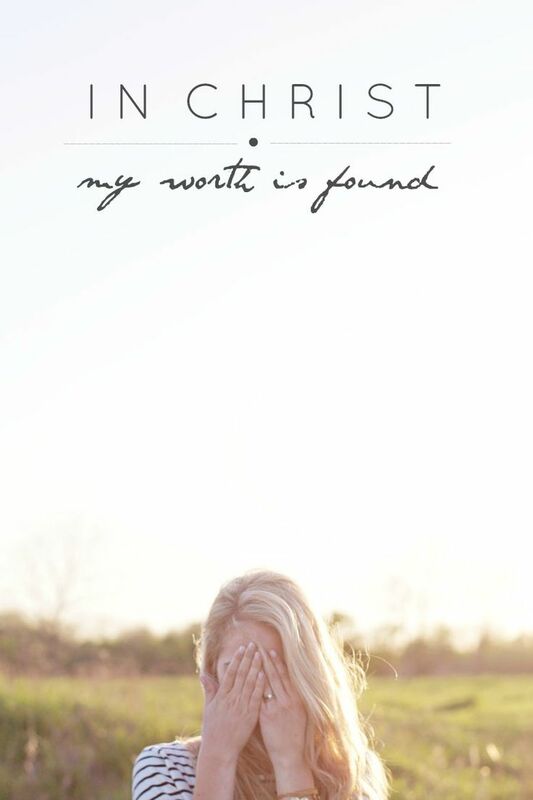 God desires to see the whole Earth find their light, but they need to see mine and yours to know what that looks like. God I love you. God I’m thankful for you and humbled by you. God I am the light-stand. It doesn’t matter if I am metal, or modern, contemporary, or wooden. All that matters is you are the bulb on top. I exist to support You. I exist to hold You up. To shout your name in the darkness. Help me to live for you. Help me to not look at my own ordinary human life and instead see myself as essential to Your plan for the Earth. Lead people to You through me. In Your beautiful name, Amen.